How many animals (and we're talking just the vertebrates here) would you say are killed in collisions in the US every day? Thousands? Hundreds of thousands? Try an estimated one million. That's right – PER DAY. And on top of that carnage, such collisions also cause human injuries and billions in property damages across the US each year. Could smartphone technology help make some inroads into those grim statistics? A research team at Utah State University thinks so. They've developed a smartphone app that allows users to track collisions between animals and motor vehicles. 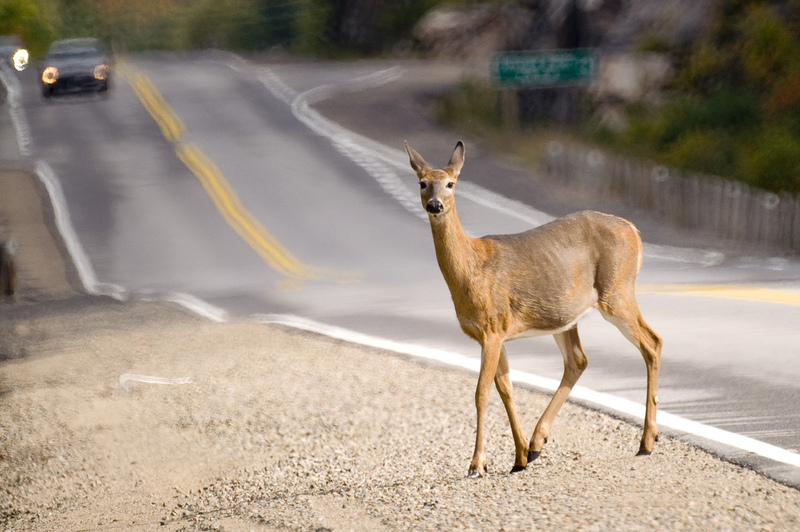 In a paper published recently in the journal PLOS ONE, the researchers write that protecting both humans and animals on the roads starts with finding a simple and efficient way of gathering data on where exactly collisions occur. And that's no easy task given the vast stretches of road that need to be monitored – especially if you're relying on outdated pen-and-paper methods. "Everything was on paper forms and was being collected by many different individuals," Daniel D. Olson, a Utah State wildlife biologist and the study's lead author, told the LA Times. The new app, called the 'Wildlife Vehicle Collision Reporter', streamlines and simplifies the roadkill-tracking process, allowing users to upload data directly from a smartphone to a computer, feeding it into a central database that's constantly updated. "It’s a seamless method for collecting and managing data. The app increased efficiency and accuracy and provides agencies with valuable data on managing a hazard motorists are all too familiar with," Olson said. 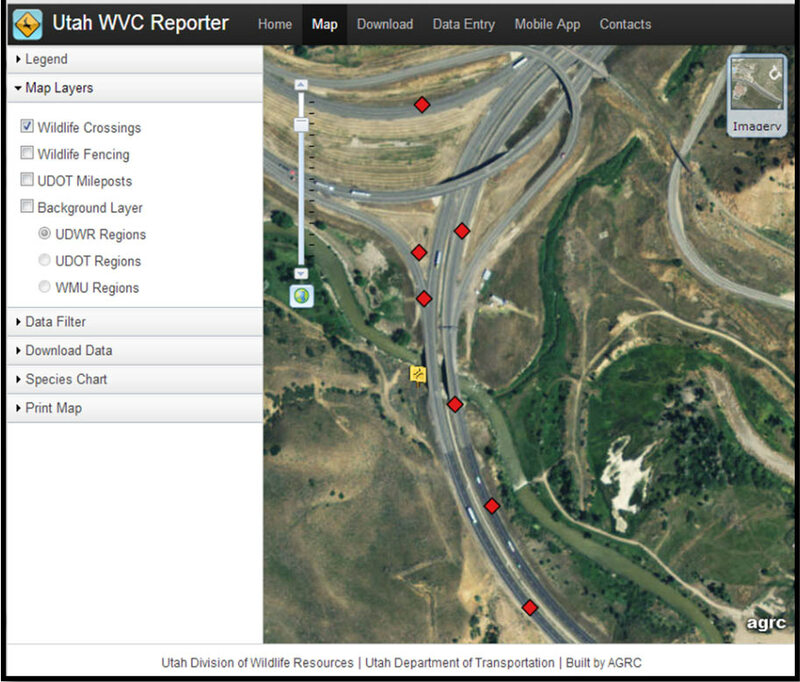 The WVC Reporter allows users to see collision data mapped out in fine detail. © 2014 Olson et al. Why does gathering accurate data make such a difference? It allows wildlife authorities to pinpoint collision hotspots and put preventative measures in place where they are needed most. Fencing off sections of busy roads or constructing wildlife crossings in places where roads slice through animal migration routes can be a costly exercise, and resources for such mitigation projects are limited. Accurate data allows those scarce resources to be used as effectively as possible. Developed at a cost of $34,000, the new app was rolled out to wildlife and transportation officials across Utah back in 2012. A year later, they had recorded and mapped 6,822 animal carcasses (mostly mule deer), with much more accuracy (and in half the time) than the old pen-and-paper method allowed, the study says. The next step? The authors hope the app's success in Utah can be repeated in other states, and they also see potential for upgrades, such as modifying the app to allow photos to be uploaded or linking it to a warning system that alerts drivers when they enter an area plagued by collisions. They also say that recruiting the public to help with the grisly-but-important work of roadkill tracking could make their tool even more effective. Citizen scientists take note.